Less than two months till we head south! Did someone say chores galore? I can’t believe that we will be headed south in less than two months to begin our first “snowbird cruise”. 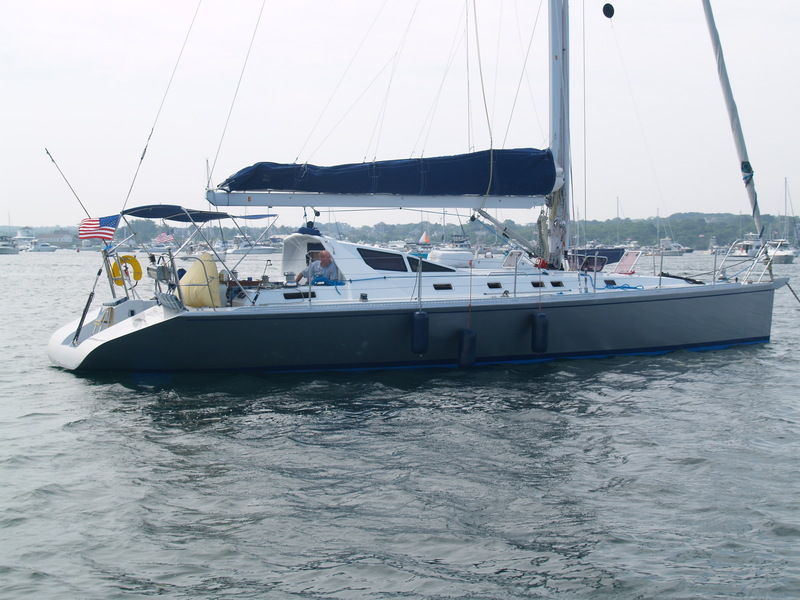 This is a big deal and one that began in 2006 when we decided to sell our Tartan 37 and get a bigger boat that we could live on for extended periods of time. Our departure was delayed by two years from what was to be a three year outfitting project to get Pandora ready for the trip due to that pesky recession. However, the time is nearly here and we are really excited about heading out. Actually, I am really excited and Brenda perhaps “really nervous” in spite of looking forward to our journey. Following our move to Essex this spring my schedule has been non-stop with chores both at home and on Pandora trying to get things ready for such an extended trip of more than half a year. One thing for sure is that I definitely underestimated the complexities of packing up or home of 20+ years in NJ, finding a new home in CT and settling in here. There have been plenty of unexpected expenses too, not the least of which is a new boiler/furnace here in Essex that we can leave for extended periods without worrying about power outages and freezing pipes. The new boiler should be installed in the next week. The plan is to put antifreeze in the system and winterize the potable water system too when we shut the heat down to 50-55 when we are not here. There is also the question of who will watch our home when we are away in addition to the alarm company ADT. Getting our bills all delivered on-line has also been a bit daunting as, in addition to our own epenses, we also handle the bills for Brenda’s mother who is in assisted living nearby. Oh, did I mention that we have moved her twice in the last year as well? No rest for the weary. Not to worry, in spite of the long list of tasks, there has still been time for fun along the way with some trips aboard Pandora. Actually, our son Christopher has been visiting us for a two week vacation from his work at Columbia in the physics lab. 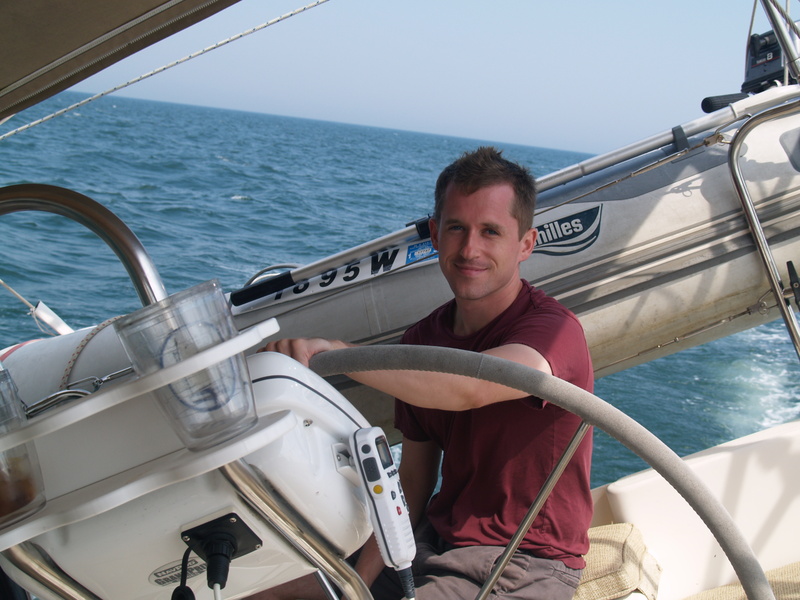 Earlier this week Chris and I headed out to Block Island for an overnightvisit. We had a great trip and took some time to finish up the antenna installation for our new single side-band radio (SSB). 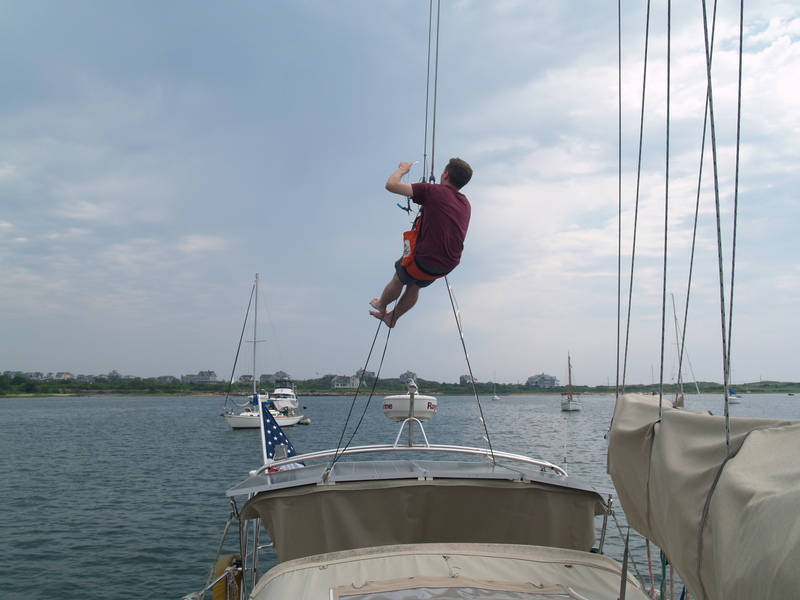 This involved hoisting him up the mast to attach the antenna to the backstay. What better person to handle such a job than a physicist. As I understand it, the proper way to install an SSB antenna is to keep the wire from grounding to the lower backstay with PVC offsets. 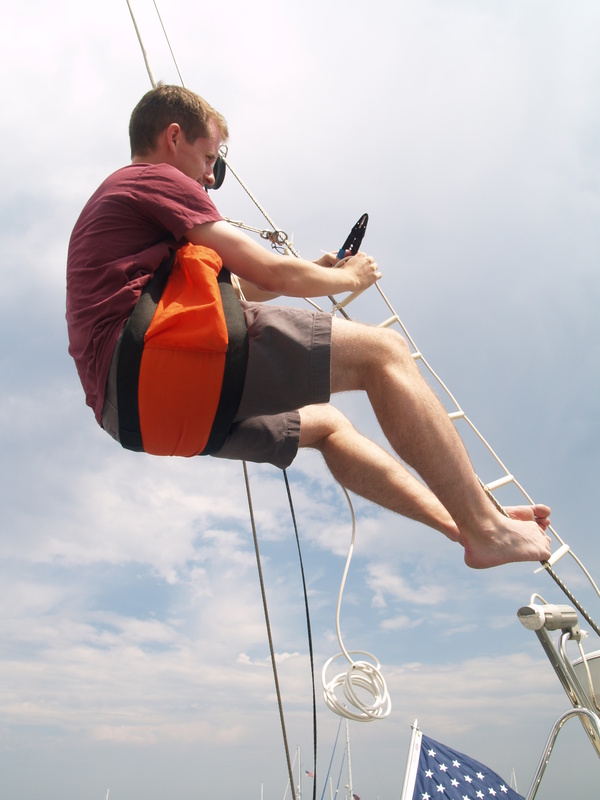 The antenna needs to be connected to an insulated portion of the backstay which is of a specific length to offer proper reception. Here’s Christopher doing his handiwork. Perhaps it would be fun to sail with him up there? His mother might have something to say about that. As it seems to be “always something” on a complex boat like Pandora, our autopilot crapped out for some reason. 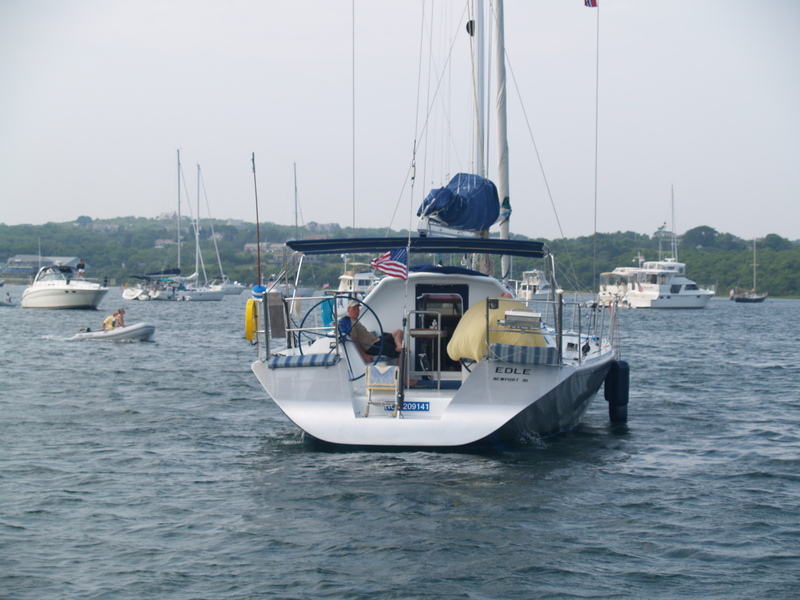 This meant that Chris and I had to take turns steering the boat for the run out to Block Island and back. I have to say that I really hate steering. Besides, when it works, the autopilot is much better at holding a course than I am. Happily, this is the first problem that we have had with the pilot in the 5 years since we purchased Pandora. It’s actually amazing that the unit has worked for so long as it’s been in service for over ten years. Nice shot of Christoper at the helm. Speaking of complicated boats, Pandora may seem complex to me but can’t hold a candle in that department to others in attendance in the harbor at Block. How about this carbon fiber beauty. I’ll bet that she flies. What a great looking profile. Really looks like she means business. I just love that hard dodger. This one is no slouch either. 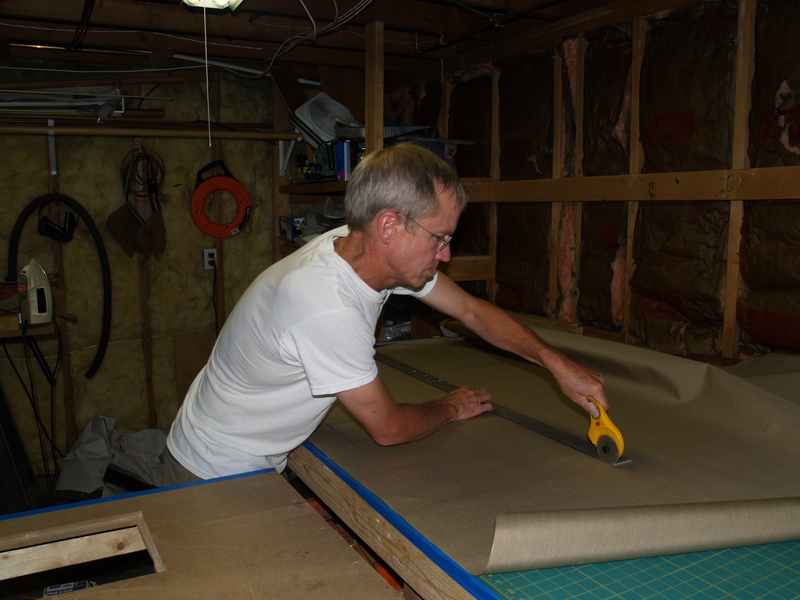 In the project department, I am also sewing a full cockpit enclosure to make the cockpit all-weather. The project is harder than you would expect but is progressing nicely. Taking the measurements off the boat and making templates is not easy, especially when the wind is blowing everything around while I am trying to set up the patterns on board for sewing later. 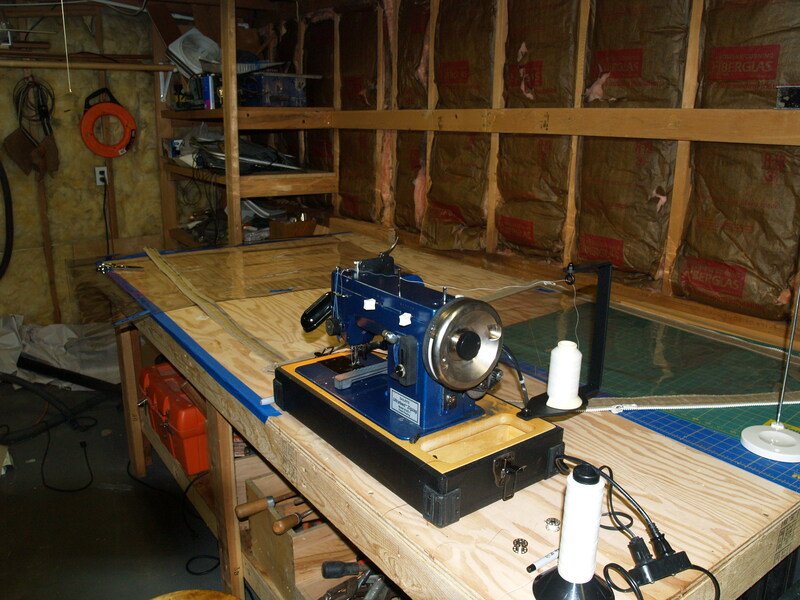 Here’s my “workshop” in the basement. Not exactly the best decorated room in our home. Me hard at work sewing, or should I say cutting away. Well, the list of tasks to get Pandora, and us, ready to head south is long and complicated but we continue to plug along. With less than two months to go… Yikes! Perhaps I should get back to work and stop writing. Protected: Oops, a bump in the night, or day. Posted on July 10, 2012 | Enter your password to view comments. The contrast in the boats at last weekend’s Wooden Boat Show in Mystic CT could not have been more dramatic after having spent a day watching the America’s Cup Trials in Newport. 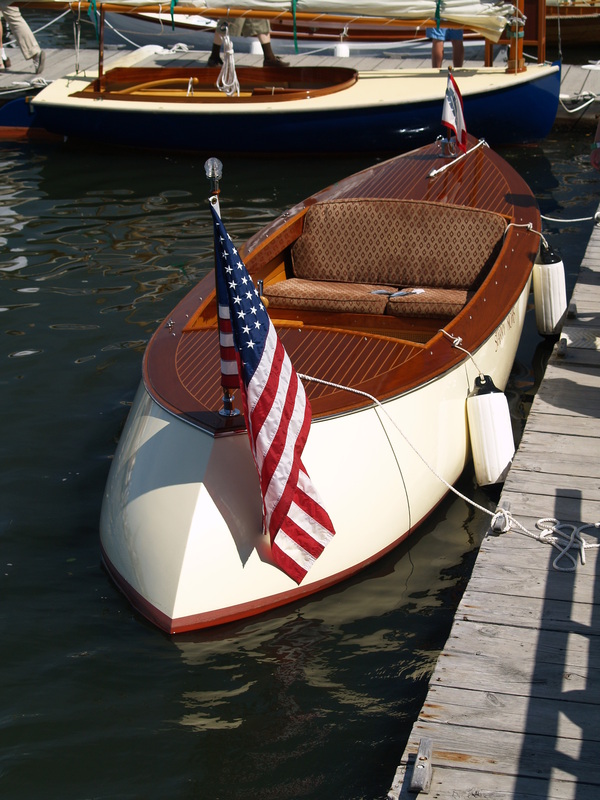 Perhaps the only real similarity is that many who own wooden boats have really deep pockets, a common theme in boating it would seem. Yes, there are plenty of boats for those with modest bank accounts but the “big boys” toys are plenty fancy kevlar or not. Two images that illustrate the differences are these. High tech and plenty mean looking is one of the current cup trial boats. 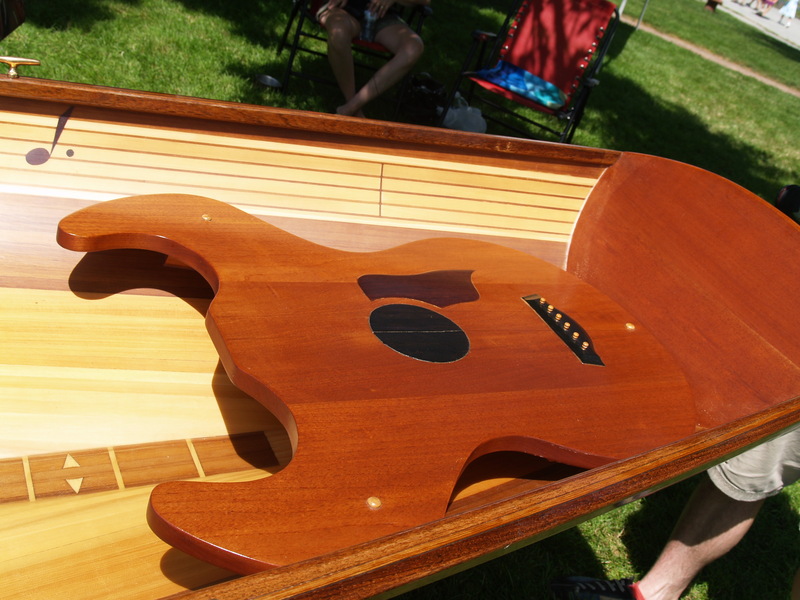 This sweet electric launch would surely be a better venue for a cool drink on the water. I guess that a mint julep here and a Red Bull on the cup boat about a sums it up. However, it’s not all about cruising at 5kts with drink in hand. 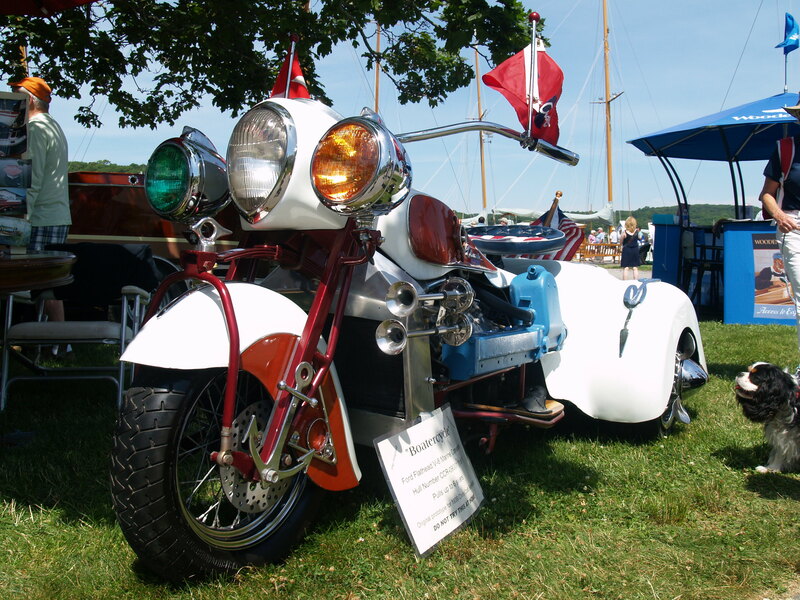 How about this “vessel” dubbed a “boatercycle” by the owner who claims that it will pull six skiers. Tongue in cheek? Perhaps. Me? I couldn’t even imagine it even floating. However, it does have a swim platform. Speaking of form following function, how about this boat? Some might suggest that it’s a good think that this is a one-of-a-kind. Do you think that the builder loves music? but what kind of instrument does he/she play dear Watson? How about this for a clue? Need more help? I expect that the love of building outweighs the love of being on the water for the owner. Not exactly a quick and dirty project for sure. The builder certainly was true to the theme. Yikes!!! At least the oar ends weren’t like picks. Now, this is my idea of a “gentlemen’s launch”. 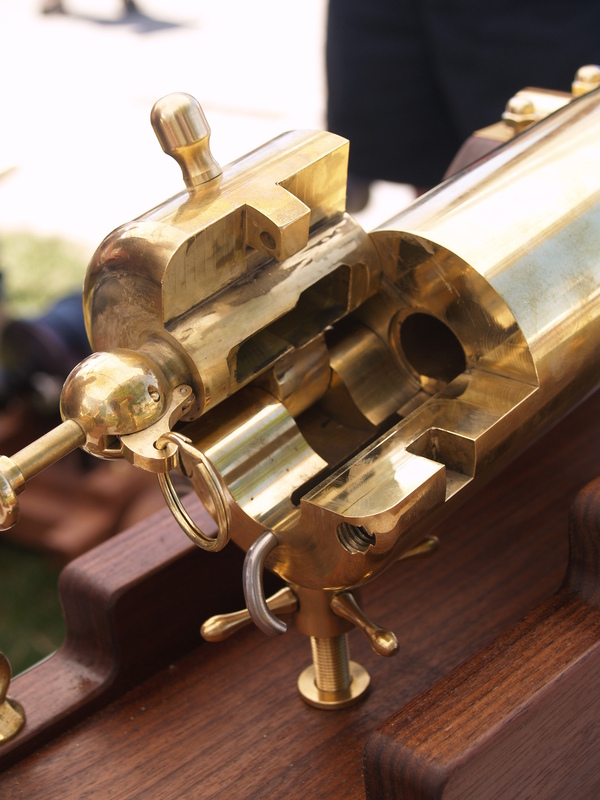 With a jet drive it is high tech meets tradition. 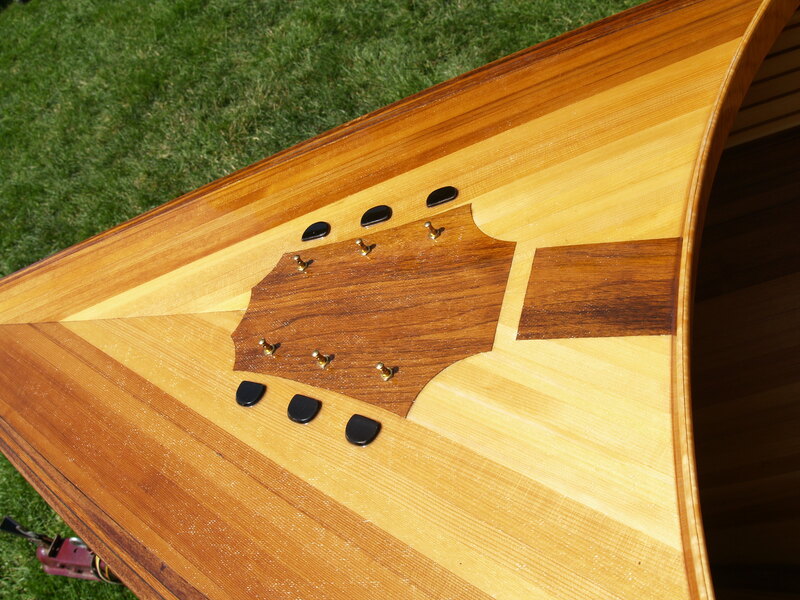 Everything about this boat is custom, down to the fancy casting on the bow that support the running light. Very elegant and it can be yours for cool quarter mil. 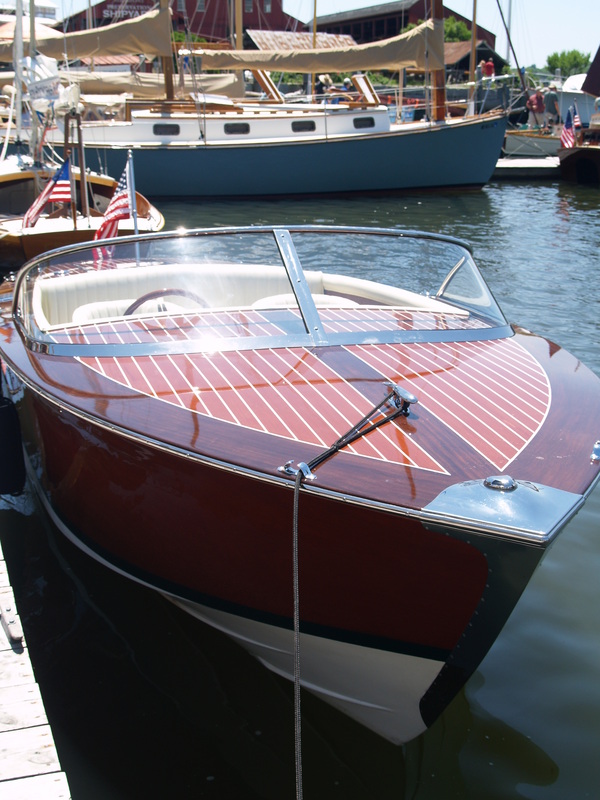 One of the great things about boating is the quality of workmanship that goes into products that are to be used in a harsh marine environment. Want to be heard? 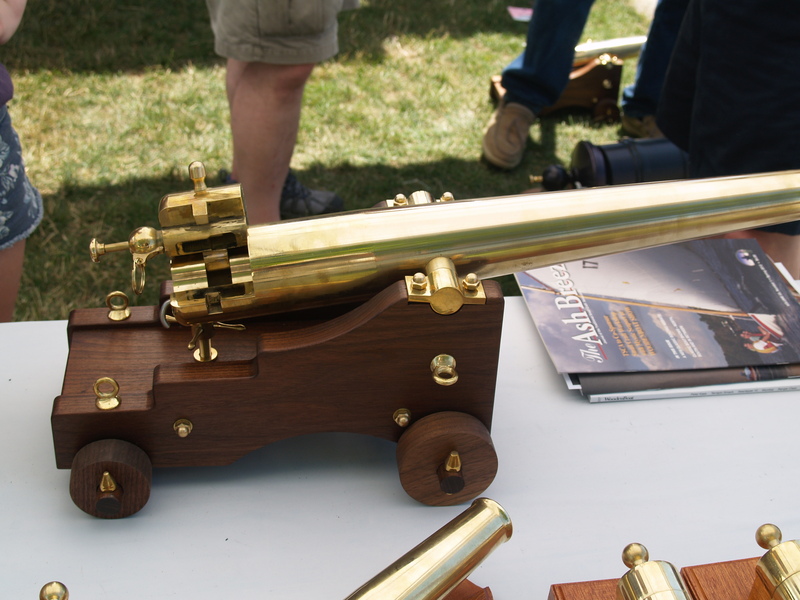 This cannon, about two feet long, would be a perfect way to salute the sunset. Sunrise too? Perhaps that will upset the locals. Speaking of attention to detail, look at the great workmanship on the breach? This is a nice video of highlights from last year’s show. 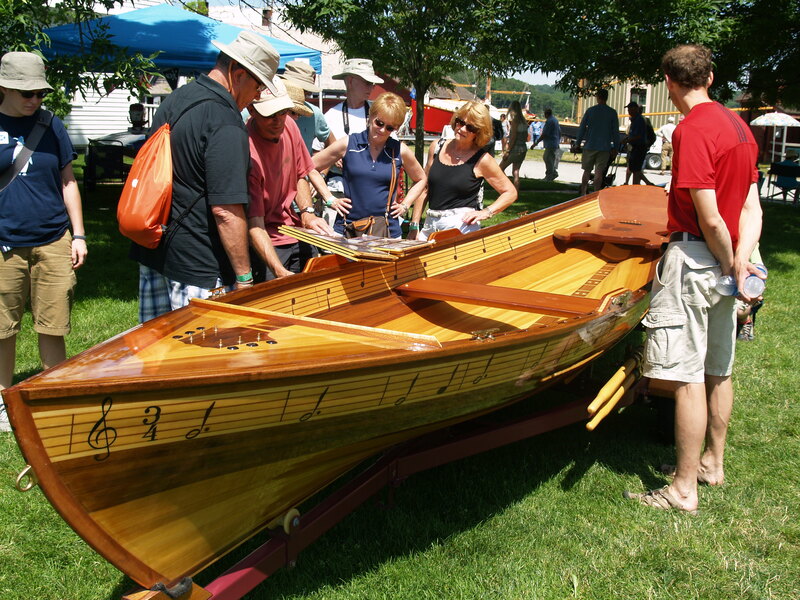 It does give a good feel for what the show is all about, a love of wood and boats. Works for me. 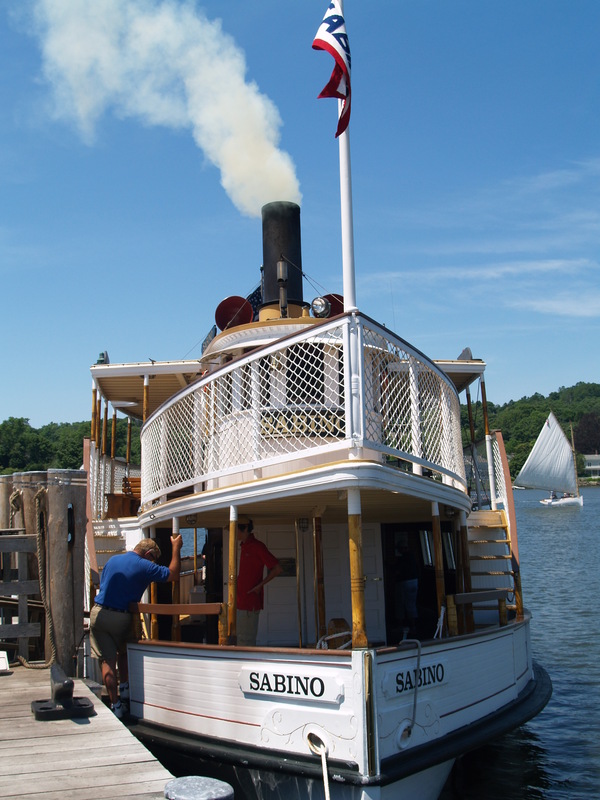 Of course, we can’t forget one of the classy ladies that live at Mystic Seaport, the Sabino who, in her working years, was a passenger steamer in Casco Bay Maine, part of our summer stomping grounds. I have always been smitten with her and introduced myself to her captain on this visit with the hope of volunteering to be a deck hand sometime. Good news, my suggestion was well received. Perhaps he was just being nice. Hmm… That would be a wonderful way to spend a day on the water. I hope that I get called. In case I don’t, I’ll have to show up again to provide a gentle reminder. There are plenty of great photos ops at the seaport. Brenda and I have been members of Mystic Seaport since 1979. What a great place to visit and it’s even better to have Pandora on a mooring nearby for a few weeks a year. And, best if all, our new home is only about a half hour a way. 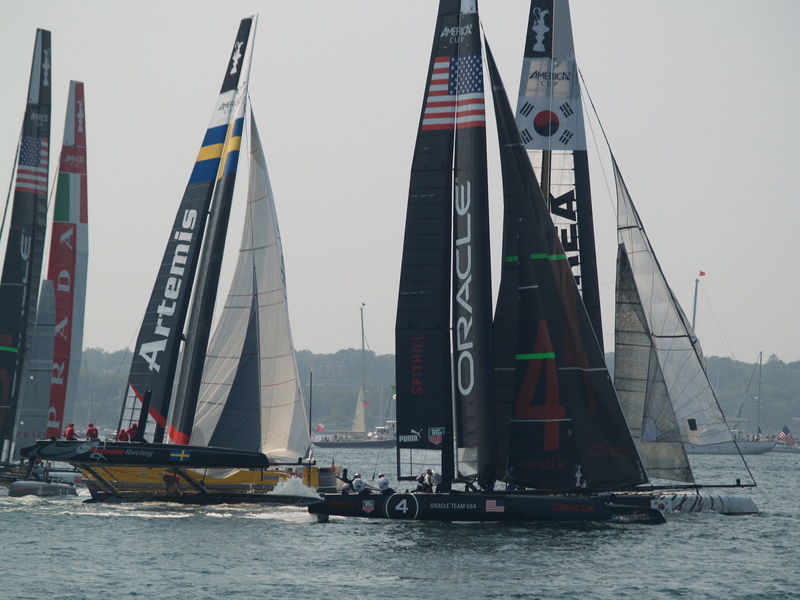 On Friday I visited Newport with a friend and had a great time watching the trials for the America’s Cup. 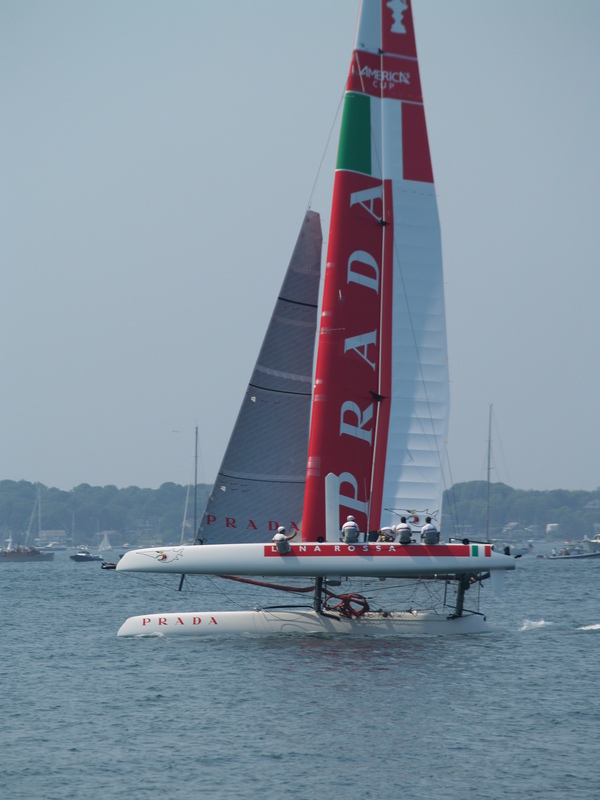 These boats are not the same ones that will race for the cup itself as they are around 45′ long and the cup boats will be over 70′ long. Don’t ask me why they will dump these boats and go to longer ones. It’s too complicated to keep track of these guys and all their rule changes. Back to Newport. I have to say that they have done a terrific job of making the cup a more compelling spectator sport with this new venue. 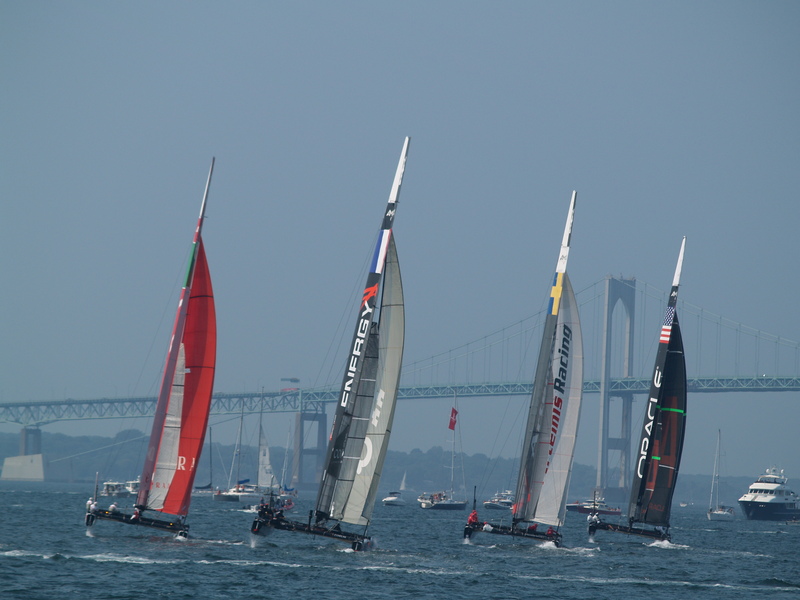 They have been staging “trials” in a number of locations world wide with the current races in Newport over several days. The course is a very short one, perhaps a mile long and a half mile wide with the entire course within easy viewing of shore. 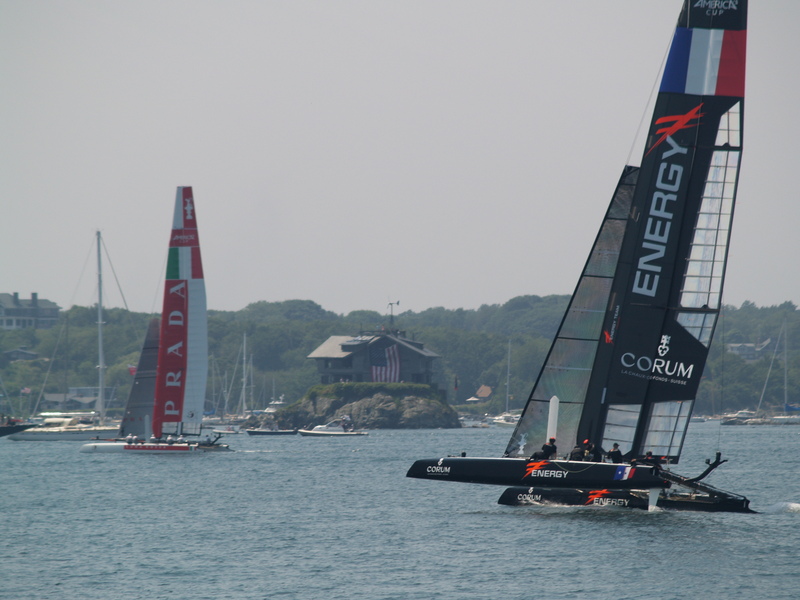 To see these boats shoot by at some 20kts is really a sight to behold. 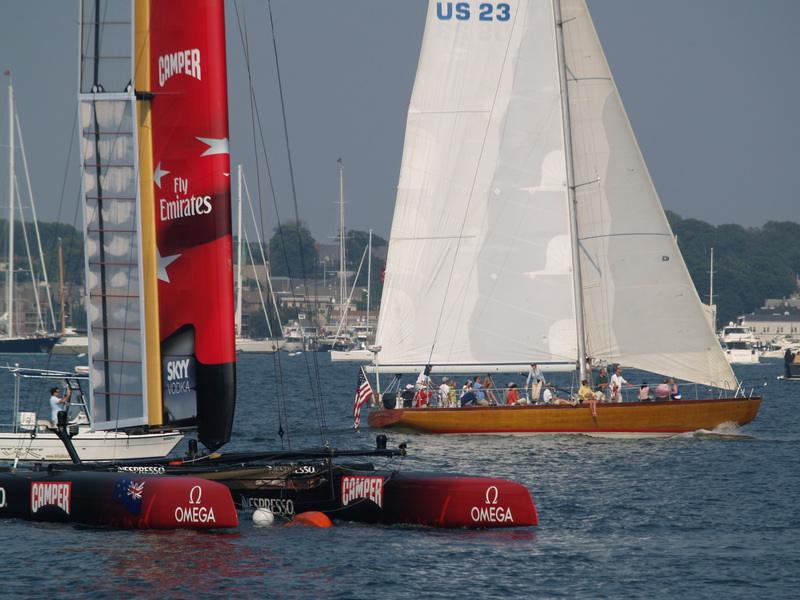 Some lament the demise of the old style monohull but to me, the cup races are a lot more exciting now. And, if you are lucky, you might even see one capsize as happened on the first day of racing. Call this the water equivalent of NASCAR racing perhaps. The first thing that we saw as we headed over to Fort Adams, the viewing area, from the Newport Yacht Club was the boats on moorings getting ready. They are really high tech machines. 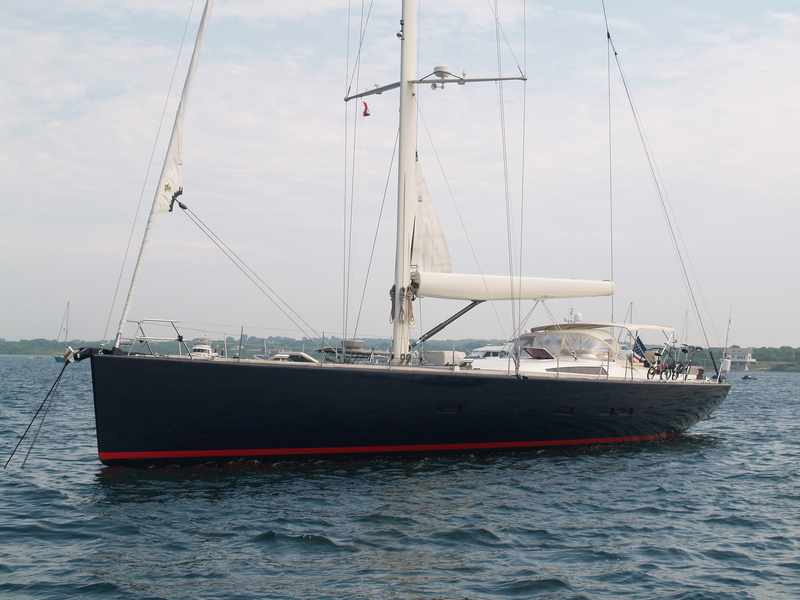 I expect that the tenders themselves cost more than Pandora, my SAGA 43. 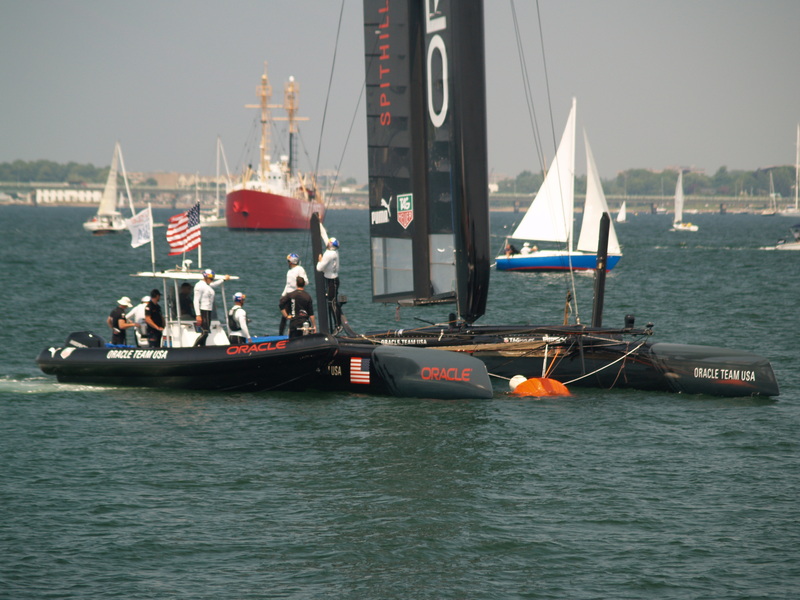 The boats, especially the American boats from Oracle, look even more “nasty” in black carbon fiber. There was plenty to look at with sponsors all around. 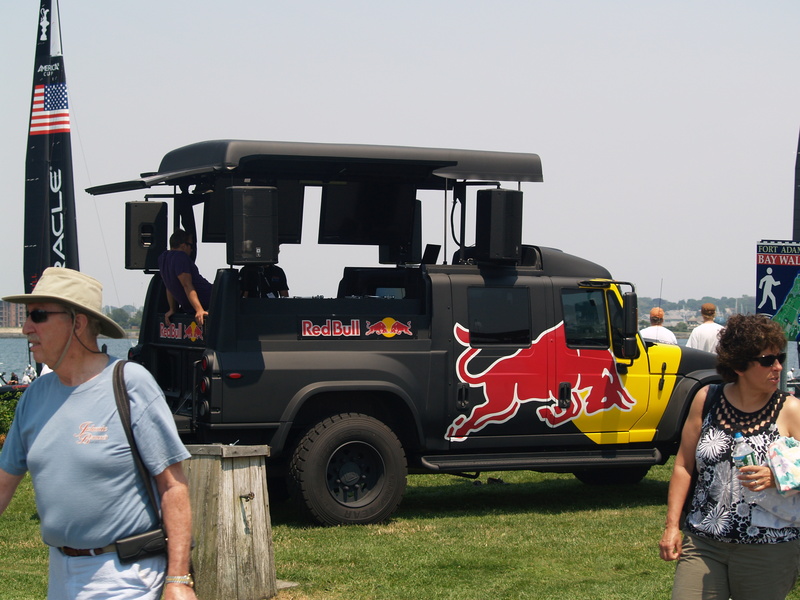 One of the major sponsors is Red Bull energy drink. Very appropriate given the frenetic nature of sailing these boats. Nice vehicle. Plenty of potential consumers to see the displays. In spite of so many folks crammed together, it was easy to get a spot with a good view. Once on the course these boats really show their stuff. Hulls flying in a very modest breeze. This boat is from France. Prada looks great as one would expect. 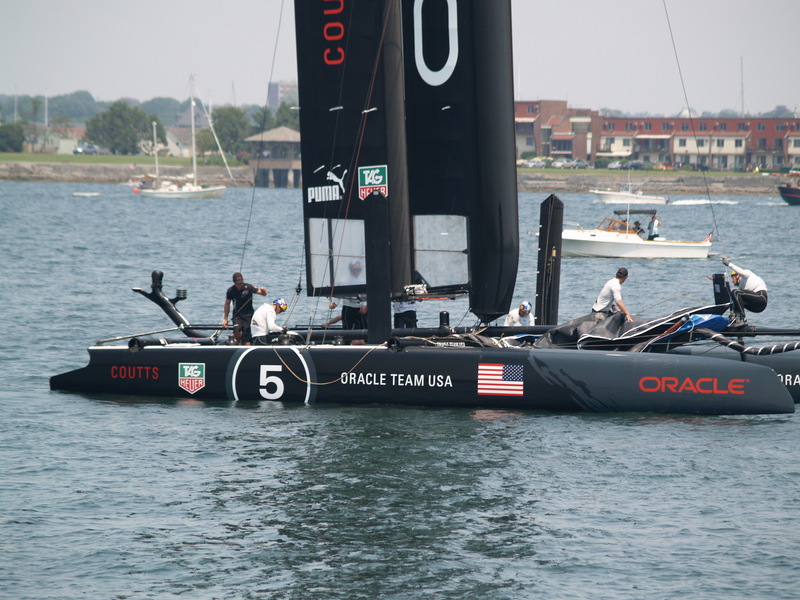 Very stylish but not as sleek as Oracle in her black paint. 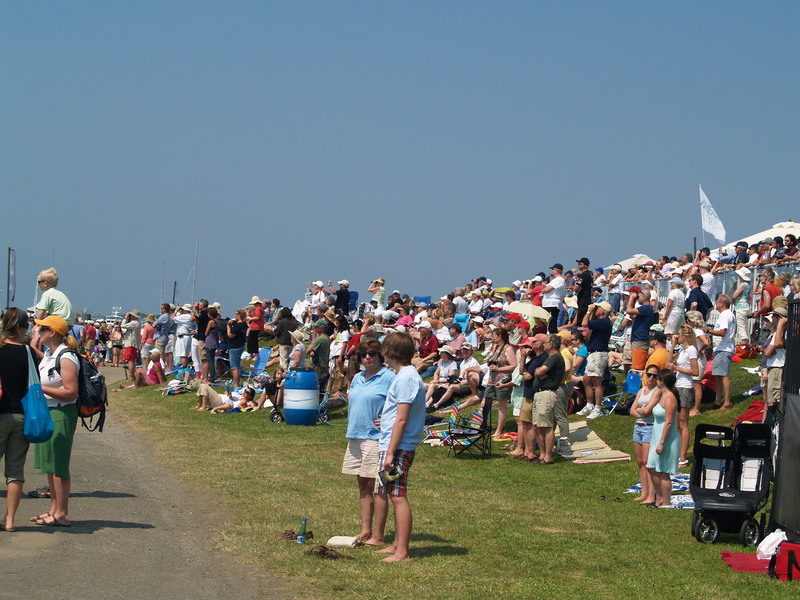 While most of the races were match, meaning two boats racing at a given time, the final race of the day was a fleet race. What a mob scene, with all the boats starting at once. And to make it more exciting for the crowd, the start had them all headed directly for the crowd and tacking just off the breakwater. What a great sight. Amazingly, they didn’t hit each other. After tacking so close they all headed off toward the first mark. After the races the boats headed back to their moorings in the harbor. I was struck by the contrast of the current boats verses one of the classic 12 meters that used to race for the Cup, in wood no less. Just a little different wouldn’t you say? One thing for sure is that the current approach to the Cup will reach many more than past races that had become somewhat marginalized in most people’s minds I expect. This video is an example of the “showmanship” that has become a part of this event. A great approach for the “Youtube generation” in my mind. And for a moment of “I was there”, here are highlights, in a somewhat longer format, of the day of racing that I enjoyed. It does look great in this refined presentation with terrific graphics, but being there was even more fun. And, the crowds were pretty amazing. After the races we headed back to the New York Yacht Club for a beer and to hear a talk by Gary Jobsen, well known sailor and the commentator for the race series. Glad to have friends like Ken that belong to such great clubs. Besides, getting in the club launch allowed us to avoid waiting in line for an hour with all the “regular folks”. Not bad. 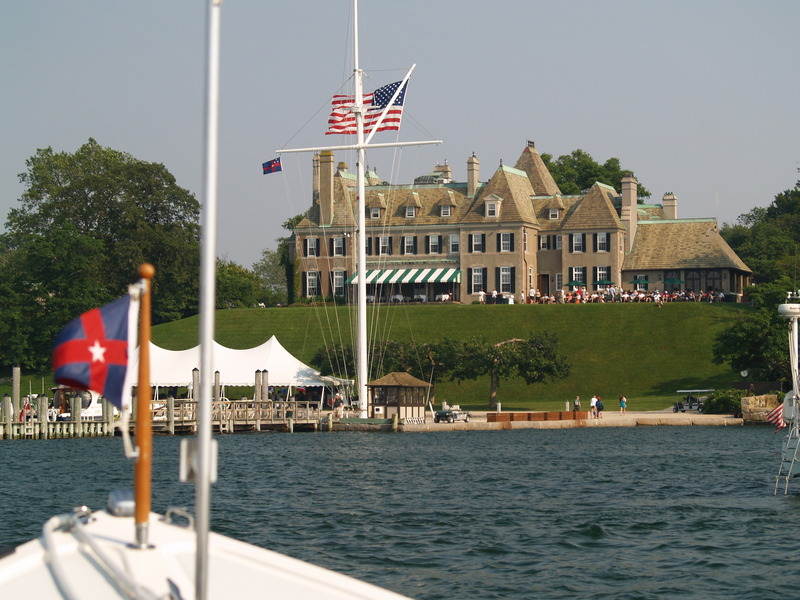 We heard Jobsen speak in the white tent on the water just below the “club house”. Club house? That seems like a funny term for such a grant building. Very nice indeed. 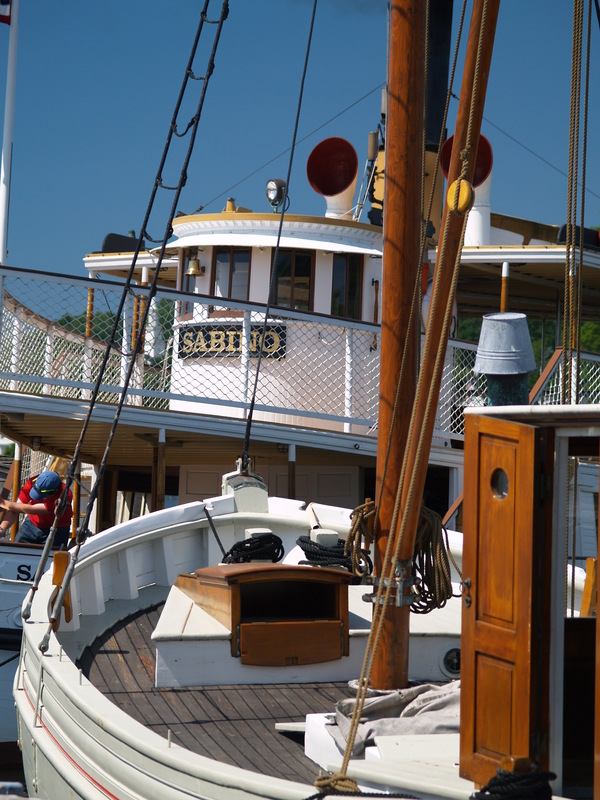 On Saturday Ken and I headed to Mystic to see the Wooden Boat Show, a great event at Mystic Seaport although very different with the smell of tar instead of the gleam of carbon fiber. More to come on that soon.